Eds: No. 4 Duke 118, No. 2 Kentucky 84. Updates with new lead. With AP Photos. Duke’s fabulous freshman weren’t just ready for their first turn in the spotlight. “They were magnificent,” coach Mike Krzyzewski said. 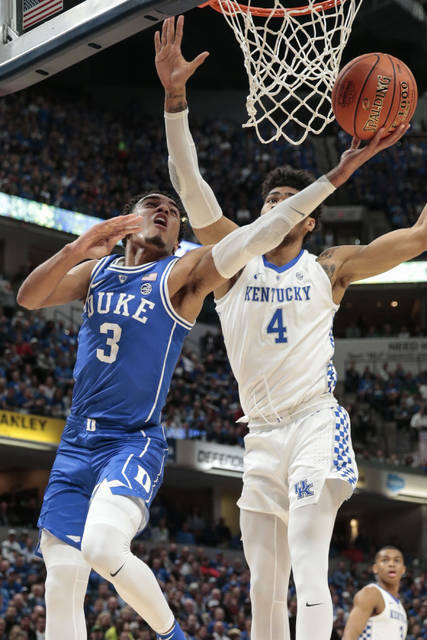 Duke won for the eighth time in the last 10 meetings between two of the nation’s four winningest programs, and this time handed coach John Calipari his first opening-night loss at Kentucky and his most lopsided loss since taking the job a decade ago. The teams set a Classic record for most combined points, set hours earlier in No. 1 Kansas’ 92-87 victory over No. 10 Michigan State. Duke’s newcomers never doubted they could win this convincingly. After making it 59-42 at halftime, Duke kept pulling away throughout the second half. Barrett’s dunk with 16:11 remaining made it 72-47, Alex O’Connell’s 3-pointer with 11:45 remaining made it 91-54 and Duke topped the 100-point mark on another dunk by Barrett with 7:36 left. 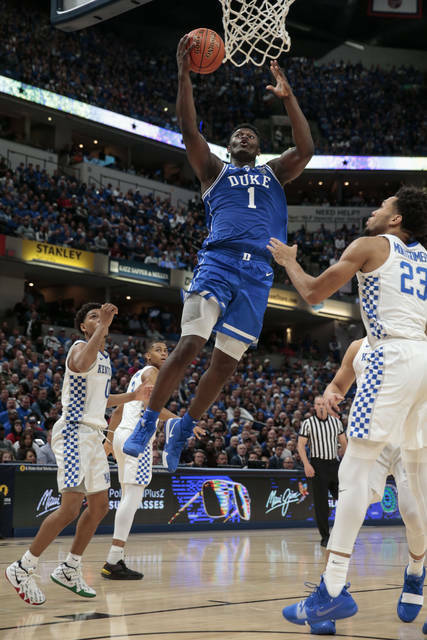 Kentucky: It was an embarrassing performance for the Wildcats, who weren’t physical enough against Williamson and couldn’t keep up with Barrett. Most teams don’t have that kind of combination, but it’s clear Kentucky needs to improve dramatically to keep up with the nation’s top teams. Duke: The Blue Devils seem to have it all — athletes, scorers, defenders and rebounders. Still, you can bet coach Mike Krzyzewski will try to fix his team’s flaws and make Duke an even more difficult matchup. Kentucky: Tyler Herro was the only other player to reach double figures. He finished with 14 points, nine rebounds and five assists. … Kentucky shot 44 percent from the field but allowed the Blue Devils to shoot 54 percent. … The Wildcats were outscored 60-38 in the paint. … The game marked the first time Kentucky faced a ranked opponent in a season opener since a 79-71 overtime loss to Clemson in 1995. Duke: Marvin Bagley III held the previous mark for points by a freshman in his debut with 25. … The Blue Devils only committed four turnovers compared with Kentucky’s 15. 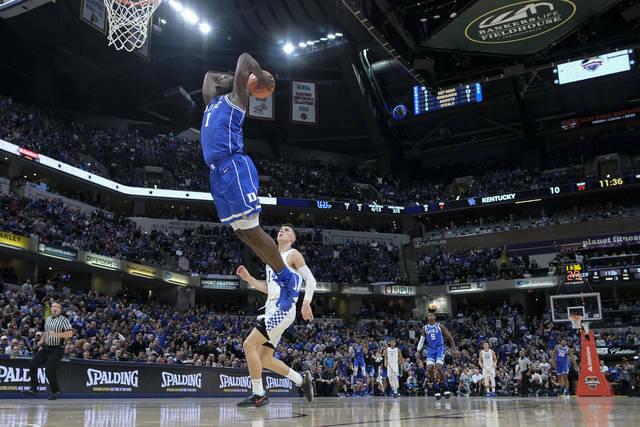 … Duke improved to 12-2 all-time in Indianapolis and 3-0 at Bankers Life Fieldhouse. … The Blue Devils have won 19 consecutive openers. Duke hosts Krzyzewski’s alma mater, Army, on Sunday.